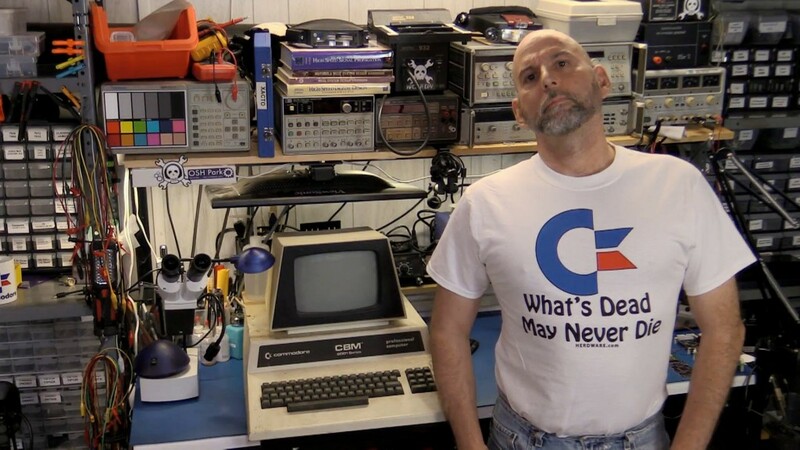 Welcome Bil Herd, designer of the Commodore C128! Bil grew up in Indiana saying things like “see-ment”. Chris mentioned that a lot of how people say things change depending on location in the states. There was a post on /r/dataisbeautiful about this. He grew up grew up fixing stuff and traded for food/beer. Later he started designing synths while listening to Emerson, Lake and Palmer. After leaving school and wanting to fix TVs, he joined the Army nat’l guard and became a teletype repairman to get around the need for a diploma to take the TV repair class. At Bil’s first design job (at the scale company), he had to make their own battery backed RAM. After the scale company, he was hired at Commodore (around ’83, when they were working on PET/VIC). They had relocated to West Chester PA. There were 5 chip fabs on Route 30. Bil was told about the gig from Hedly Davis who designed the DRAM for the XBOX. Commodore was in the space above the MOS fab. They were later convicted of dumping chemicals into the water table. A key component was the VIC (Video Interface Chip). This allowed offloading some of the video processing. The VIC II integrated the concept of “sprites” (but were called a movable object block). It was “borrowed” from the TI994A. The TED (or TExtDisplay) chip helped for manufacturing a low cost computer (with only 121 colors) that was meant to compete with the Sinclair ZX-Spectrum. $49 16K memory based upon making their own chips (almost as much as you had to pay for just the memory by itself). When making the chips, they were 7 layers and about 150,000 transistors on a 1 uM process. The designers used Rubylith to make the lithography masks. 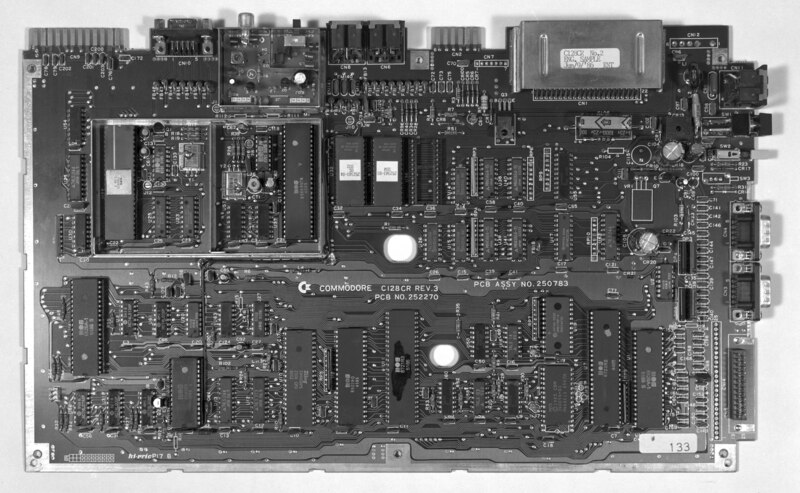 The board layout done on a VAX (C128 first board with CAD) and it was designed to work with Panasert/American Universal through hold assembly machines. 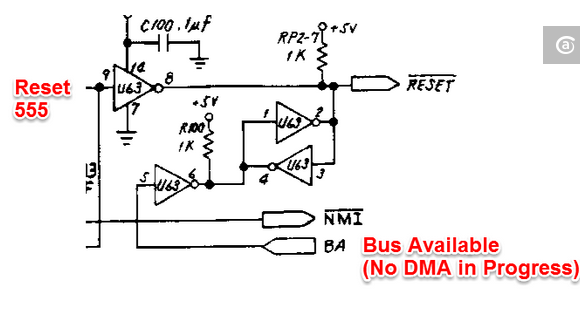 C128 had a switching regulator which ended up benefiting some of the high draw of CPM cartridges. The stringent nature of FCC certifications meant that Bil couldn’t add any more chips to the board…but could add transistors like above. FCC worries about the edge frequencies, because of the high harmonics of a square wave. There was a reflection problem that Bil fixed with a long Red/White wire. You can see it on this high res image of a C128 board. Bil has attended and given talks at the VCF( vintage computer forum) in the past. He also met former guest of the show Alan Wolke there. The Zilog Z80 was added to be compatible with CPM cartridges. 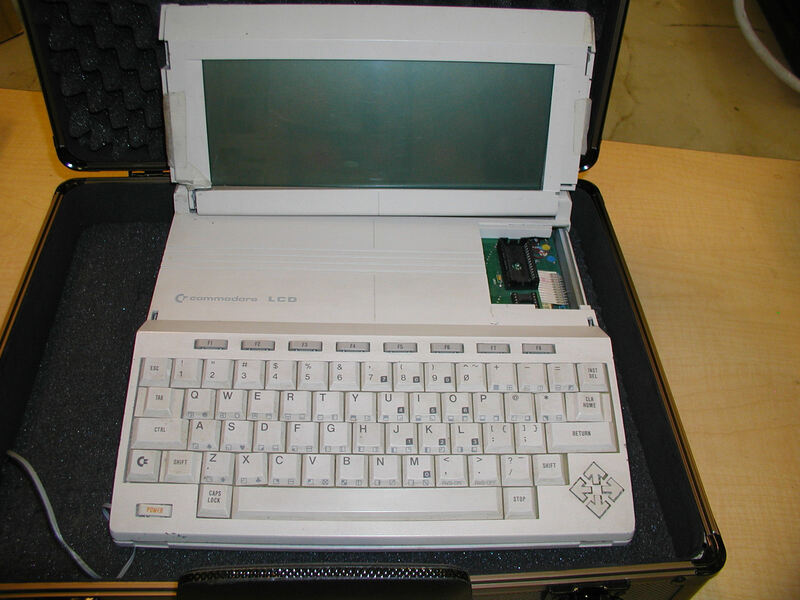 The Commodore LCD was a laptop designed and promoted, but never sold…because Marshall Smith (the CEO) was told not to by the competition. Instead, the Tandy Model 100 (which Dave has done videos about) went on to sell tons of units. There is a movie about Amiga called “Viva Amiga” that is promised to come out soon. Bil believes that Commodore was doomed when Jack Tramiel left. The Commodore name was passed around a bunch, but Bil owns C128.com site, which has tons of great info about the era. He also runs a site about designing hardware and teaching people about analog/FPGAs at Herdware.com. These days you can see Bil making videos over on Hackaday. He was introduced to the gig via winning an Open Hardware Summit grab bag from an episode of adafruit’s “Ask An Engineer” There he was introduce to Ben who runs Datasheet.net (and works with Hackaday stuff). Bil also has a range of videos over on his own YouTube account. You can also find @BilHerd on Twitter. 2 hours didn’t seem like enough! We hope to have Bil back on soon to talk about his current projects and to catch a few more stories from the golden era of 8 bit computers. what happened to fran-n-bil.com and the Dinosaur Den? I”m one of Bil’s biggest fans. Entertaining and talented, he’s always worth listening to! Love the interviews of interesting people. The last two interviews have been great! Especially when you match up so good with the interviewees. (Would have loved some more software geekines in the LTSpice episode, but it is a hw show after all. It was still very interesting though.). And – more dodgy circuit tricks please! The book that Bil mentions a couple of times is Brian Bagnall’s “Commodore: A company on the edge”. Which is a highly recommended read if you enjoyed this episode of the Amp Hour. Loved this episode. It brought back some really fond memories of my first computers. 2 hours is not enough Bil Herd!